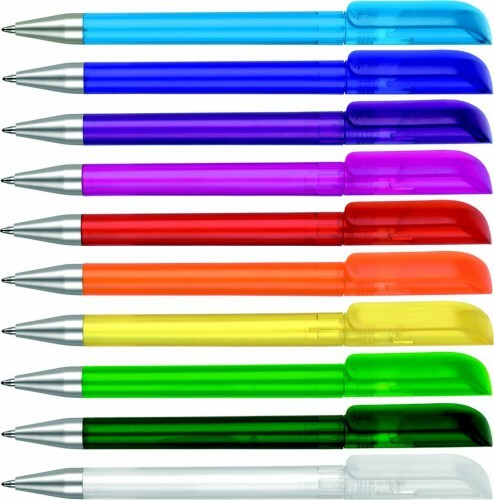 Twist-action ballpen in frosted finish with silver trim. Generous print areas on both barrel and clip. Please note the back and white have a solid frost finish.